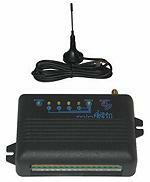 4 zone transmitting device with built-in GSM communicator. The main function of the GSM pager 3 is to operate as a supplement of control panels, GPRS/GSM signalling device or as a standalone 4 zone GPRS/GSM control panel. 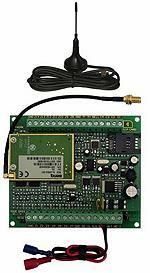 The purpose of the GSM-LINE ADAPTER PRO is to interface to GSM network an alarm system that can inform the security monitoring station through wired telephone line. GSM security module CG1 is designed for security of premises, for control of operation of various electronic devices and electrical engineering equipment. Remote control of electromagnetic door locks, automated gates, garage doors.